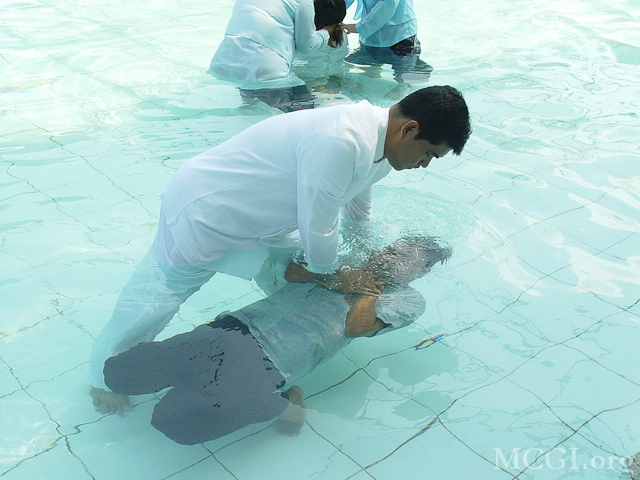 Read short testimonials of faith from some of MCGI’s youngest brethren baptized on March 4, 2016 at the Ang Dating Daan Convention Center in Apalit, Pampanga. I want my life to change. I was deep in vices. That’s why I wanted to be closer to our Lord that he may help me set my life views straight, that I may not anymore return to my old ways, that I may be able to stop with my vices. Also, I want my family’s life to be better with the help of the Lord’s love. When I was still single, I attended Church gatherings with my niece. However when I already got a job, I kind of drifted away from it. I soon had a family and went back to the province. That’s when I got into vices, by befriending bad company. The time came when I felt that I had to stop, because I was doing evil things already, and that I needed to change. I also want to give more consideration to my wife, she being in Catholicism and me being in the Church of God. It wouldn’t be well for her if I were to lay everything on her at once. I’ll just try to prepare her mind, and give in to her requests, and it is I that would have to show her what is right, God willing. I felt like a load has been lifted off my chest. I felt that the old things that I used to do, it’s as if they were instantly gone. For Bro. Eli, I am thankful to him because he is a person who is aided by the Lord to preach to his fellow Filipinos and to his fellowmen as well. I thank him because I am now a member of the Church of God. I am a seafarer and when I was on board our ship, I had a co-worker who is a brother-in-faith here. He gave me recorded Bible Expositions for me to watch. I watched I think a Bible Exposition which was conducted in the Araneta Coliseum, in Batangas, in Olongapo, as well as in South East Asia. Also, those that were held in Hong Kong and various other places. I was really inspired by the Q&A, because those were the questions that I wanted to be answered by my former religion, but couldn’t. So when I discovered that, I got really inspired by those questions and by the answers of Bro. Eli. I think I said to myself that time, he is the true preacher who carries the truth. I felt that my mind was unburdened, and that all the emotional baggage in my heart was gone because I was able to let go of any ill feelings. That’s what I felt. I thank them because I have finally found the true preachers and the word of God. I voluntarily attended Bible studies. I was amazed by the teachings that I heard from Bro. Daniel and Bro. Eli Soriano, so that’s why I joined The Old Path (the Church of God International). I felt light after being immersed in the water. I am thankful that I am now a member here in their ministry. It’s because of listening to the doctrines. My knowledge about our Lord increased through those. We watched on television. We always watch TV and sometimes we would click the channel [Ang Dating Daan or The Old Path] is on. Then, someone invited us here. She is our neighbor, whom we call “nanay” (mother). I felt light, and I was crying actually. All I can say is that I have been well enlightened.